IOS App Developer: Grapplearts Enterprises Inc. SIMPLY AND QUICKLY LEARN THE BEST TECHNIQUES FROM BJJ NEW: NOW INCLUDES THE NO GI DE LA RIVA GUARD AND THE PRECISION KICKBOXING MASTERCLASS BJJ has been proven again and again by professional fighters in Mixed Martial Art competition, as well as by many ordinary people defending themselves in the street against bigger and stronger attackers. Many experts believe that BJJ is the single most effective martial art. We believe that many different martial arts are effective, but the bottom line is that if you understand the ground game then it gives you a HUGE advantage in a fight. 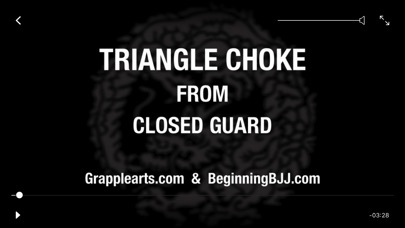 Grappling may seem complicated and difficult to learn, but all you really need is a plan and a place to start. The techniques, tactics and strategies covered in the different modules within this app will make you a confident grappler in all areas of the ground! Download this app now for free and get instant access to a TON of the most important BJJ and submission grappling techniques. ABOUT STEPHAN KESTING AND GRAPPLEARTS.COM My name is Stephan Kesting and I’ve been doing martial arts for more than 37 years. The grappling arts have been my main focus for about 25 of these years, and now I’m a Brazilian Jiu-Jitsu black belt, and also a certified instructor in Erik Paulson’s Combat Submission Wrestling. In addition to the grappling qualifications I’m also a black belt in Kajukenbo Karate, an instructor in Dan Inosanto’s Jun Fan JKD, Maphalindo Silat and Filipino Martial Arts program. I’ve studied Japanese Judo, Russian Sambo, various Chinese Kung Fu systems, Brazilian Capoeira, Muay Thai Kickboxing, and many other martial arts. I’m not bringing up those qualifications to boast. The reason I mentioned them is to establish that I’ve been around the scene, trained with a lot of different people, and have a good understanding of the challenges that grapplers face on the mats everyday. I know quality, and can recognise stuff that really works when I see it. Grapplearts is my company and we’ve been online since 2002. That’s a long time, and we’ve produced a ton of instructional products, continuously refining how the material gets taught and presented in order to make it easier to learn. The goal is to get you the best information in the easiest to learn format, period! Please make a free module where there is a couple submissions, sweeps, guard passes and other things. As a BJJ rookie, this app is pure gold! Everything is broken down and made easy to understand. I went all in and got everything so I have ready access to any of the concepts as I progress at my school. Not gonna lie. I did take a couple of random sneak peeks at more advanced modules. Such awesome content! I can’t wait to get proficient in everything presented (and it IS very extensive)! As the younger folks say these days, this app is 🔥🔥! Also, shout out to great customer support for swiftly addressing a minor concern. Stephen Kesting and his circle of instructors consistently produce superb instructionals. Great detail, down to earth tone, easy to navigate app format, and top notch customer service. Over the years I’ve learned so many great details from Stephen, Brendan Mullins, Emily Kwok, Ritchie Yip, Rob Biernacki, etc that have helped me progress, and there’s tons more content to study and incorporate. 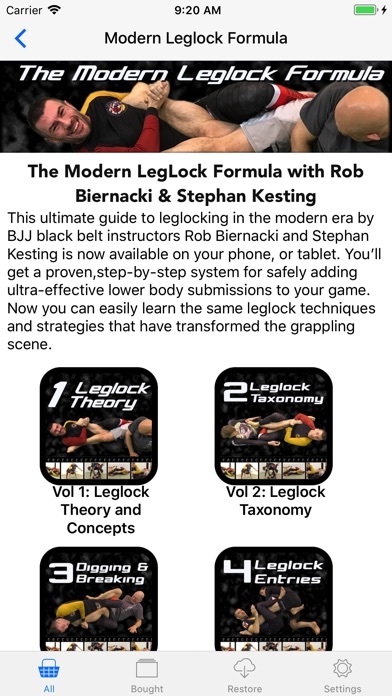 I just downloaded the modern leglock app and am looking forward to taking on what appears to be a PhD course in lower limb applied physics. Thanks for all the great stuff and please keep it up! 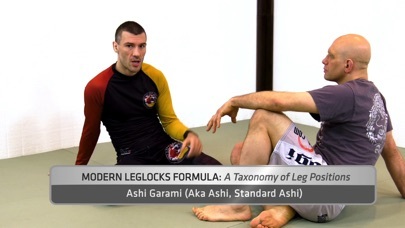 Stephan and company have some of the best material out on bjj PERIOD I have perchased the modern footlock formula, the bjj formula, non stop de la riva and non stop butterfly I would recommend these to ANYBODY white to black belt money well spent ..... If it has Stephan Kesting or the grapple arts stamp on it in the words of Philip J. Fry “Shut up and take my money “ !!!!!! Are you aware of why the sound is not working? I’m using the iPhone app. Obviously sound is turned on on the phone and within the app but still no sound coming through. Sound is working with everything else phone related. I thought that by paying the $50 cost to buy the entire package, that that would unlock all the app content in the series. It DOES NOT! It only unlocks a single series for that price. The content isn’t bad, but it’s exorbitantly overpriced for what it is. For the $50 it really should unlock ALL the series with that app. I love it! Stephan is awesome! Simply the most complete BJJ app on iTunes. A complete catalogue of techniques and systems. Enough free content for about two apps!! Thanks. Stephan always provides great content and amazing service. Have purchased several other apps from him and excited to see them all consolidated into one. Now I just gotta make the moves stick in my head for the mats. 😂 Oss! More IOS Apps by Grapplearts Enterprises Inc.